Ahead of Manchester United’s Premier League match against Burnley, manager Ole Gunnar Solskjaer confessed that he wants trophies this season. Manchester United’s discourse this season that the players have approved almost in a planned manner is to reach the Top Four, but manager Ole Gunnar Solskjaer didn’t seem to get the memo because he also thinks the Red Devils can win trophies this season. The club has been completely renovated by the Norwegian manager’s arrival, they are convinced that they have the chance to actually get back into Champions League territory but their confidence is so high that they are already thinking about winning some silverware by the end of the current season. 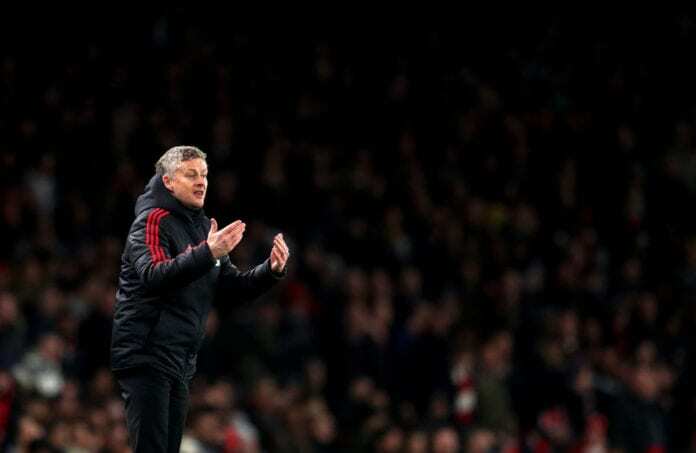 If Ole Gunnar Solskjaer can at least win the FA Cup after the terrible start of the season in all competitions, he will have earned his permanent position as the manager for at least one more year. But let’s look at the odds that the Red Devils have to actually get far this season in the two competitions they are still playing, because we can already tell you that they won’t win the Premier League this year even if they finish somewhere in the Top Four. Their eight consecutive wins under the new manager are quite impressive, but even that may not be enough for them to win this Premier League. However, the Red Devils are still very much alive in the FA Cup and the Champions League. When they were still under Jose Mourinho, United did get eliminated by Derby County in the Carabao Cup but they were able to recover in time to get a dominating victory in the FA Cup last weekend against Arsenal. The Champions League is a little bit different for them, as they are going to face Paris Saint-Germain in a couple of matches that will be extremely difficult despite the French giants not having Neymar playing on their side due to a recent metatarsal fracture on his right foot. The Ligue 1 side still has an impressive roster that will face against Manchester United, but Ole Gunnar Solskjaer is very confident that his players have what it takes to compete against the very best in the competition and he trusts they will have a good chance of beating PSG when the time comes during the Round of 16. As far as the FA Cup goes, the Red Devils just got paired against Chelsea in the fifth round of the competition and they will have arguably the most attractive match of the whole stage against the Blues. But even though Manchester United has a very complicated set of matches in the two other competitions apart from the Premier League, Ole Gunnar Solskjaer is confident on his players coming out on top against both rivals. The Norwegian manager spoke to the press ahead of this Tuesday’s Premier League match against Burnley at Old Trafford and wanted to remind the press that the Red Devils aren’t just happy with the Top Four, they want some medals around their necks as well. “We’re Man United, you should always aim to win the league,” said Ole vie BBC Sport. “We’ve got the Champions League, we’ve got the FA Cup, we can’t just say top four and that’s it,” added Solskjaer. “If you win trophies, that’s a fantastic day for everyone in the club,” he continued. Ole Gunnar Solskjaer can pick up a £1m bonus if he secures a top-four finish for Man Utd this season, according to senior club sources. Which trophy will be easier to get for Manchester United, the FA Cup or the UEFA Champions League? Please share your opinion in the comment section down below.